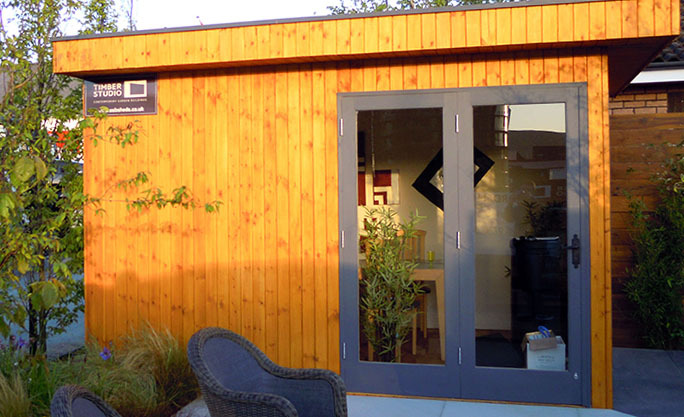 So what is a Timber Studio Garden Room? 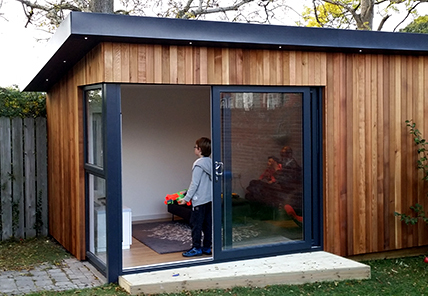 It’s a stunning building, custom made from high quality Scandinavian timber and installed in a suitable spot outside your home to create the extra space you need. How it’s used is entirely up to you. It might serve as an office, gym, design studio or games room. It might even be that extra guest bedroom you’ve always wanted. 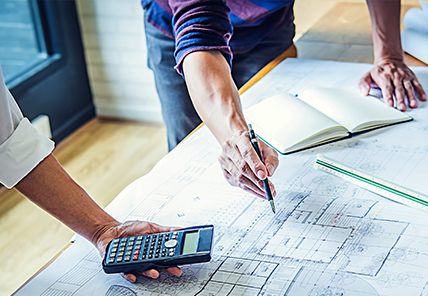 The point is it’s an economical and sensible way to have more year-round liveable space and take advantage of an outdoor area that would otherwise be unused. 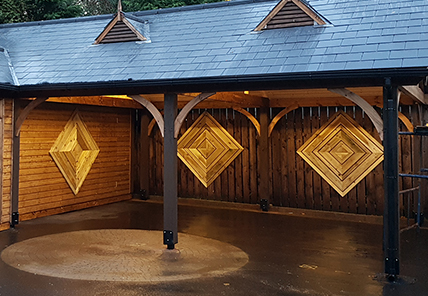 Our wooden garden rooms are made from sturdy sustainable materials, with quality built into every aspect of our designs, so they that will last for decades with only minimal maintenance. 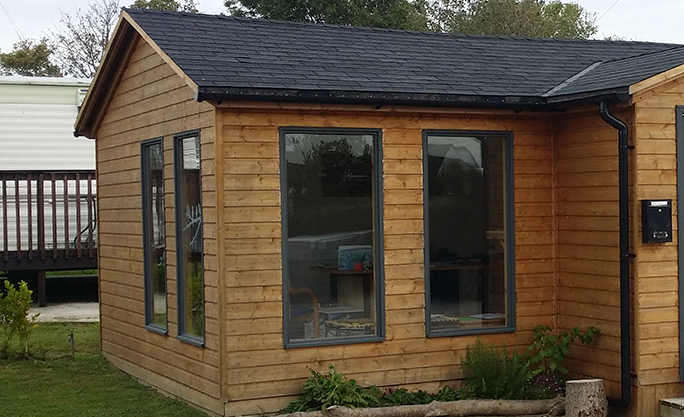 What’s more, once fully lined and insulated, and fitted with our complete electric pack, your garden room will be as comfortable as any other room in your house. 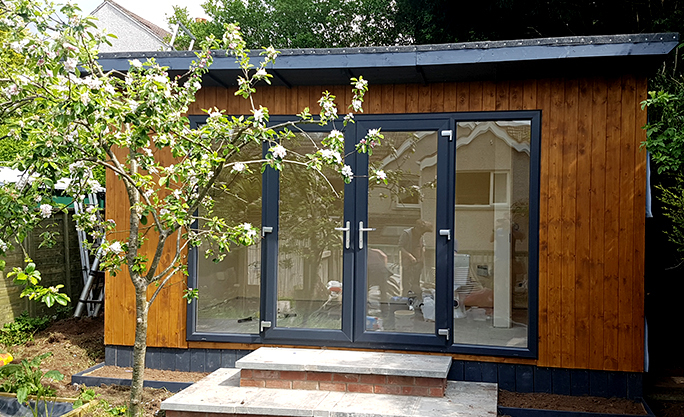 And remember - your garden room is made to your exact specifications, so that windows, doors, internal partitions and fittings are positioned just where you want them. 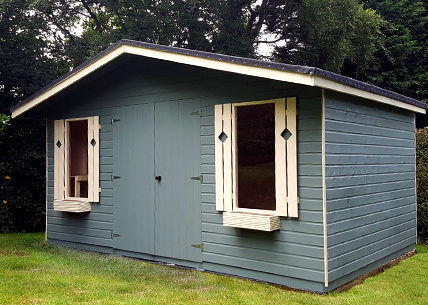 Just thin... a mere four to six weeks after placing your order, your entire living/working/play arrangements will be completely transformed with your exquisite new Timber Studio Garden Room. Reminiscent of a traditional tennis pavilion, the Clanrye is the ideal choice for those wishing to make the very most of their outdoor space by combining indoor and outdoor living under the same roof. 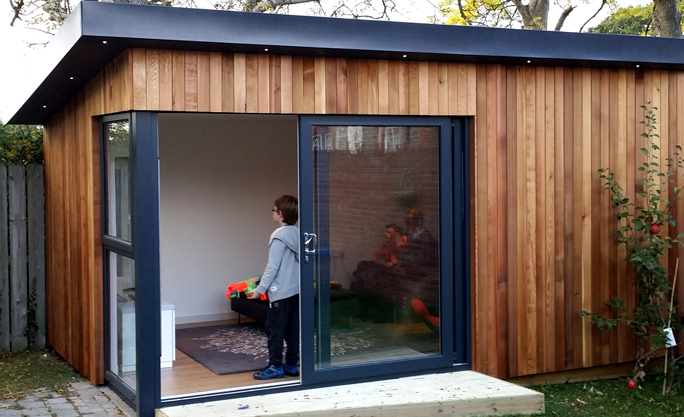 Combining a functional aesthetic with a very adaptable design, the Eske successfully ticks all the boxes, whether you're looking for an attractive outdoor garden room for purely social uses, or a more business-like space for commercial activities.